If you liked the video, subscribe to my YouTube channel. 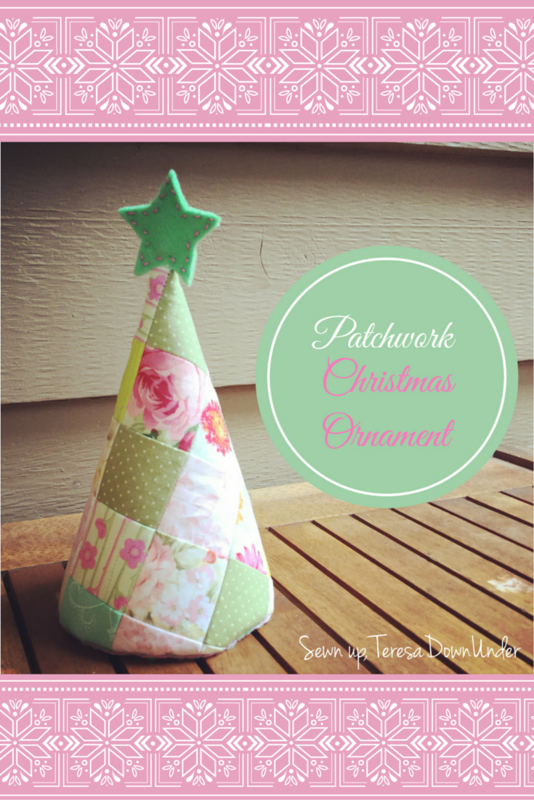 Download Patchwork Christmas tree ornament pattern (pdf). 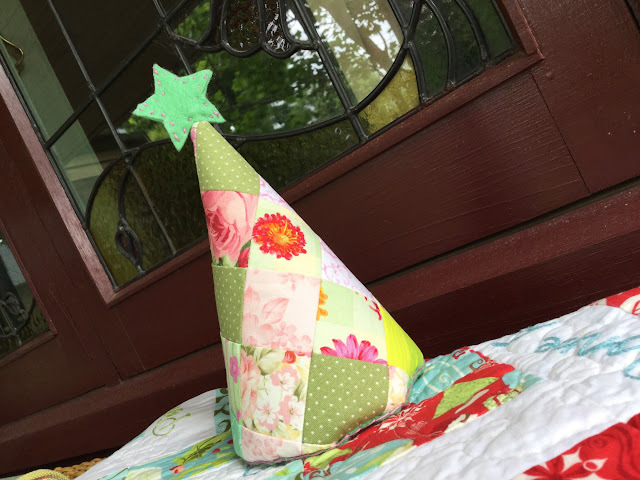 Use the pattern to cut the cone shape, the star and the cone base. 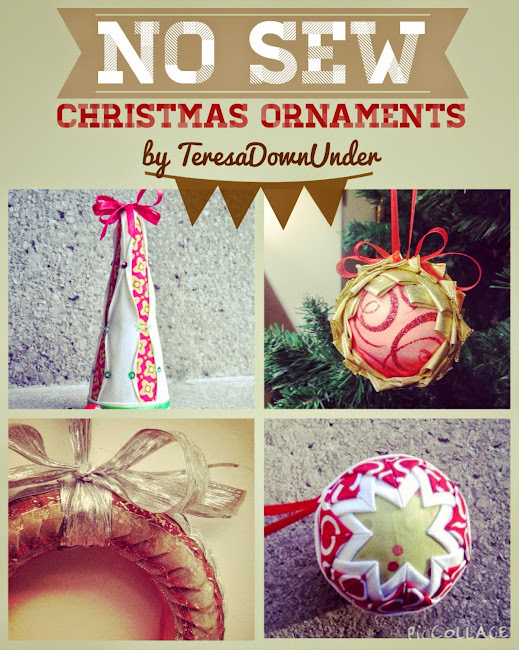 Make trees in different colour schemes and in different sizes. Stitch any embellishments such as bows, stitch little beads, add a felt star to the top. 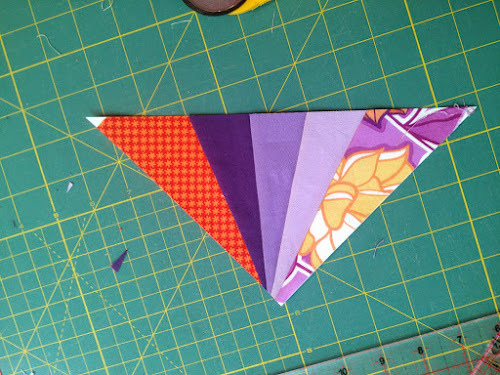 This block has a step by step tutorial that demonstrates how to make the block above but before I go ahead, if you’re new to foundation piecing maybe you want to start with some other simpler blocks. 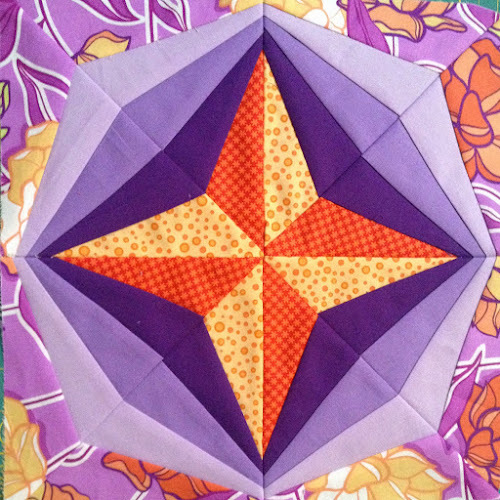 If not, just scroll down until you find the tutorial for this block. 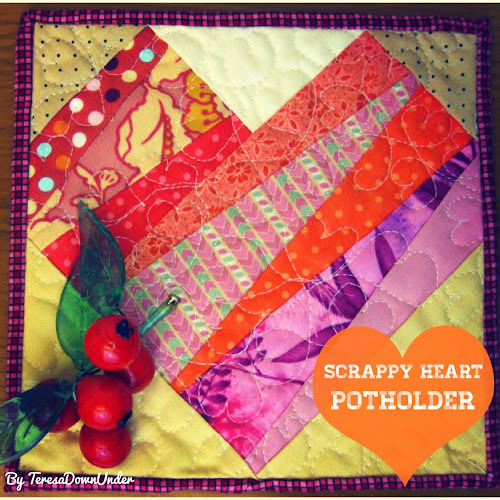 Scrappy heart potholder tutorial: this was my first encounter with this technique. Easy but confusing. Then build a bit more of complexity into it but not too much. Keep it simple. Foundation piecing step by step: this is when I started to get serious about properly learning foundation piecing. So I also made the Caldonia pattern (pdf). And the Icky Thump pattern (pdf). If you want more of a challenge by now, just use small blocks. 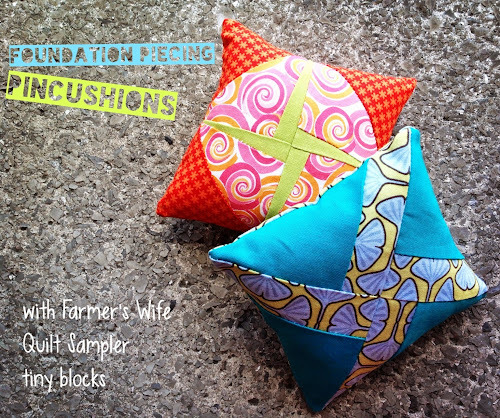 The challenge in these two blocks is in their size, particularly the orange one: Tiny foundation piecing pincushions with free template. 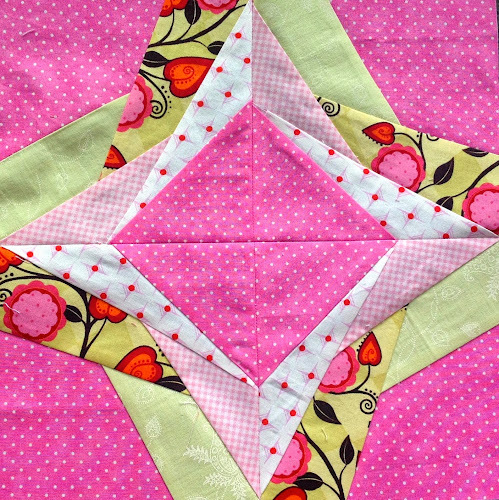 After these exercises, I embarked into a far more challenging paper foundation piecing: a Dear Jane quilt. 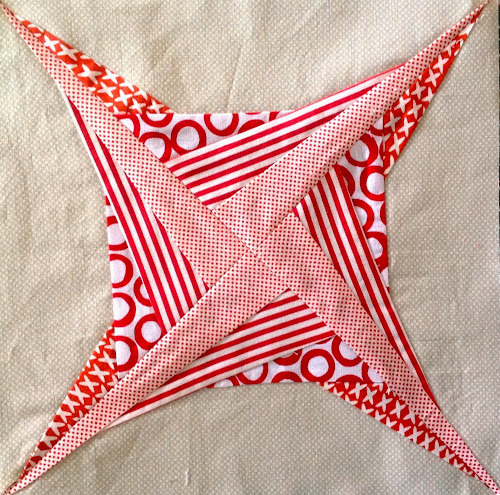 The block, by six two seven handworks, is called Global Concepts (pdf) and it’s free. Print the template. You will need to print the pdf 4 times. Cut roughly the pieces like below. I don’t cut all the way down to the line because I like to trim the paper and fabric together at the end. I coloured in the pieces beforehand so I wouldn’t not make any mistakes. Also you can also experiment with colour placement. 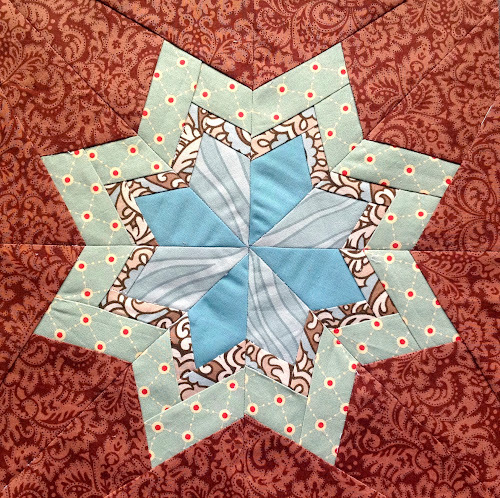 For instance I decided to highlight the star in the centre giving it a 3D look whereas on the pdf pattern the focus is not so much on the centre star but the surrounding pieces. If you’re not quite sure about colours, a safe bet is using complementary colours. In brief, in a colour wheel complementary colours are opposites. I’ll be making this block into a pot holder. It makes a very nice gift for any occasion. I am not very experienced with foundation piecing but last time I made some foundation piecing blocks I quite enjoyed the process and discovered a handful of its benefits, one of them being that your blocks look perfect or almost. With that in mind I thought that foundation piecing would also be a good way to make rather small blocks with little fuss and have them look really good. Having finished my Farmer’s wife quilt sampler recently I thought I would just reduce some nice blocks to about 5 inches square and try them out. So I went to the Yahoo! 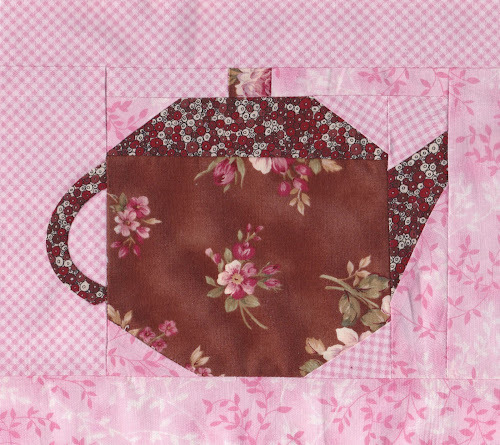 FWQS group where you can get all the foundation piecing templates for this quilt under Files, got the template for Windmill and Waste not, reduced them to about 5 inch squares and put them into a page for you to download. 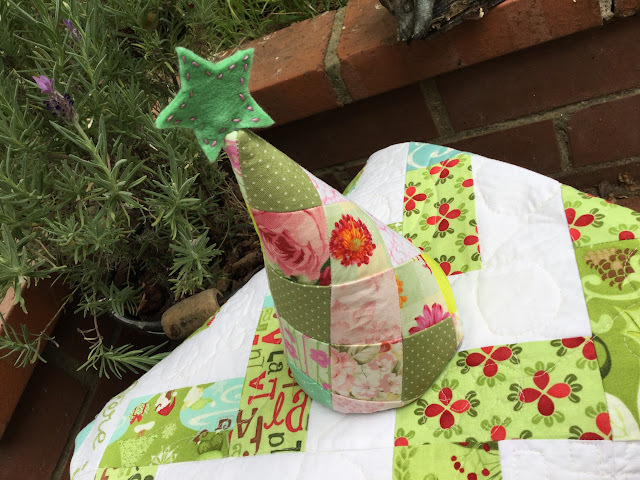 For this project you need small fabric scraps big enough to cover each individual piece and have at least 1/4 in around each of them, including the outer edges. 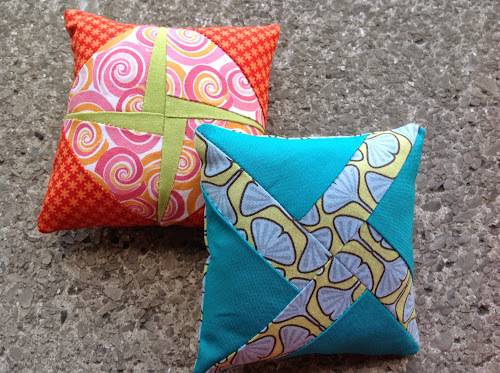 For the pincushion use polyfill or batting scraps. Cut your template leaving 1/4 inch around the edges. Then fold along the printed lines. Use a piece of plastic or thin cardboard to help you. Now cut the pieces. To waste as little fabric as possible measure each piece on the largest sides as well as the length. You will end up with squares or rectangles. 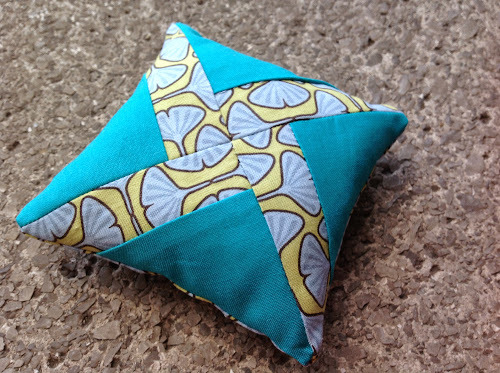 Sometimes like in this case you can cut a square and then use it in both triangles. My squares, pink and orange, were around 3 1/2 inches square. Then I cut both squares on the diagonal. The process is always the same. Start with your piece number 1. Place it on the wrong side making sure that you have 1/4 inch seam allowance all around. Now trim the piece. 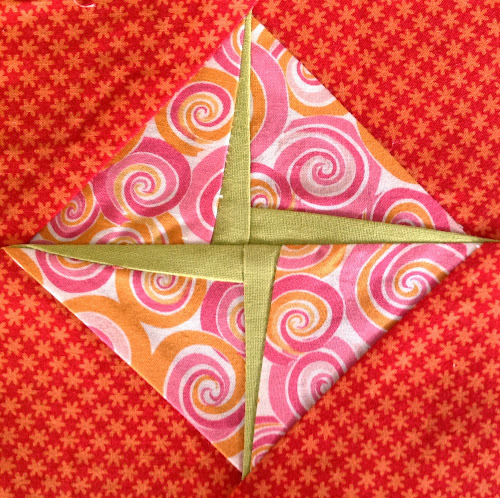 To do that, fold along the line you pressed earlier and then cut leaving 1/4 inch allowance. Now the stitching starts between piece 1 and 2. 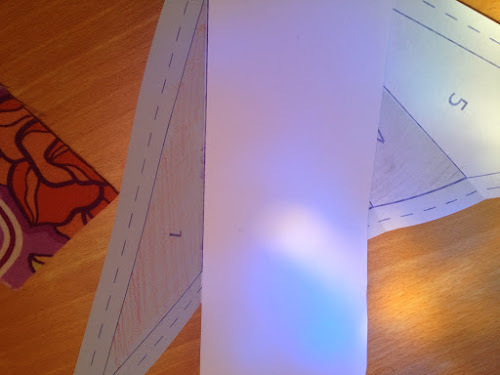 Align both pieces, right sides together, and pin together and to the paper. 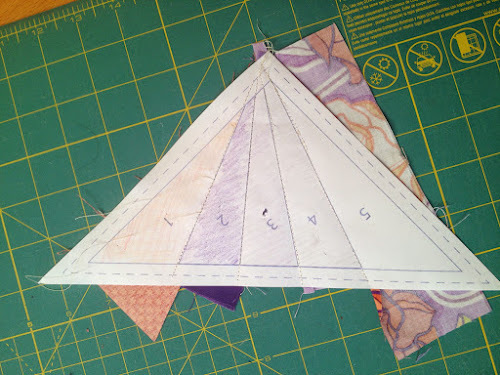 Turn paper around and stitch between piece 1 and 2 along the line. Time to trim piece 2. 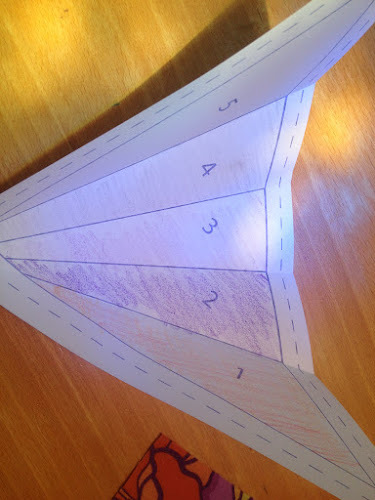 Turn over and fold the paper between piece 2 and 3. Trim leaving 1/4 inch allowance. Add piece 3 aligning your piece with the previous trimmed piece. And so on. The process is the same. Trim, add next piece, align, stitch, trim, and so on. You place on the back of the paper and stitch following the lines on the front. Once you have both pieces, stitch them together using a 1/4 inch allowance. And there you have it, a 5 inch block. After making the block what to do with it. 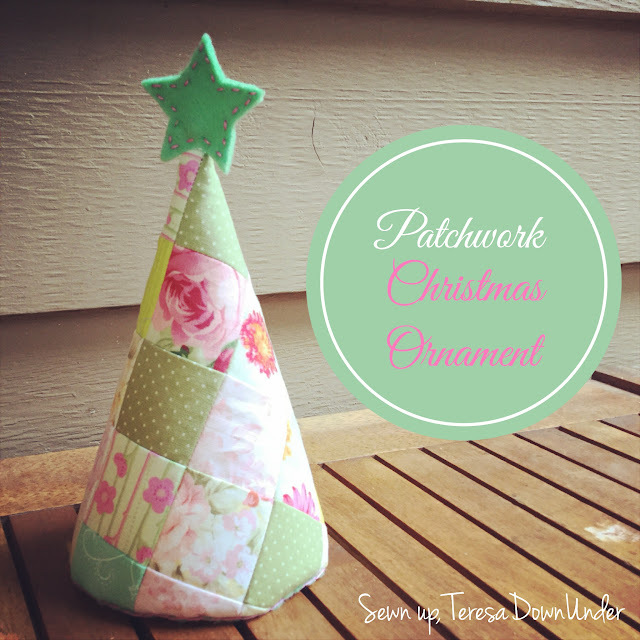 I always do something with my samples, be a potholder, a pincushion, even a quilt! 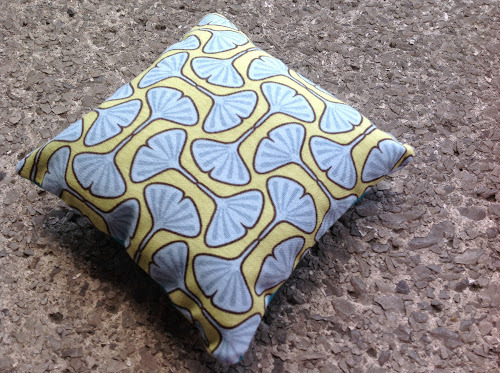 At 5 inch square I chose a pincushion design I can donate for a good cause or give as a gift. 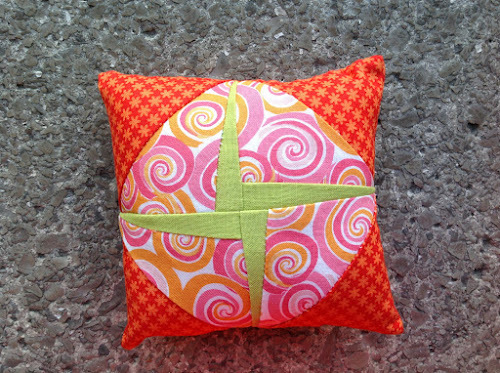 Cut the back of the pincushion using the block. Stitch around all sides leaving a 1 inch opening to turn inside out. 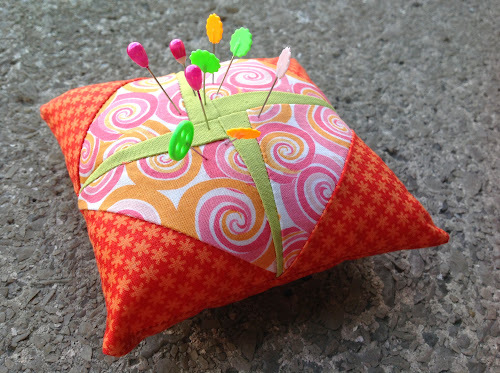 Fill the pincushion with polyfill or some batting scraps. This is the second block on the pattern sheet.